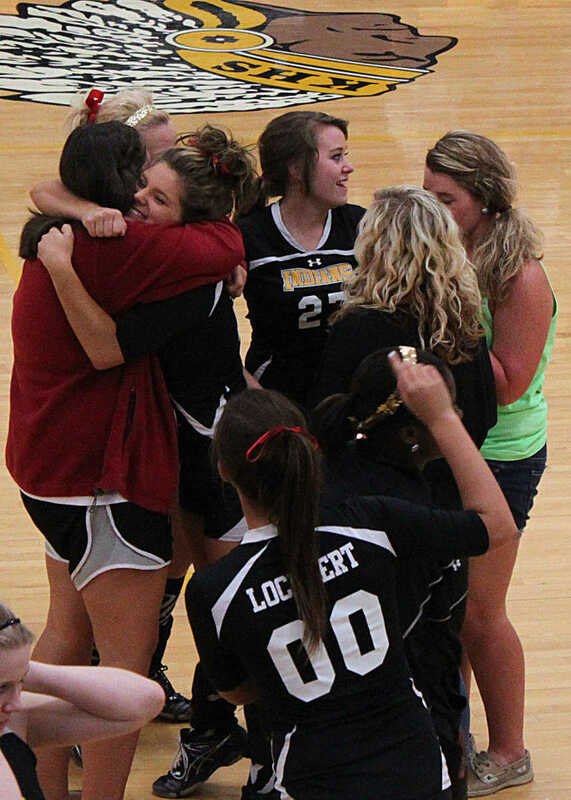 Kennett's seniors were were recognized before their final home volleyball game Tuesday. 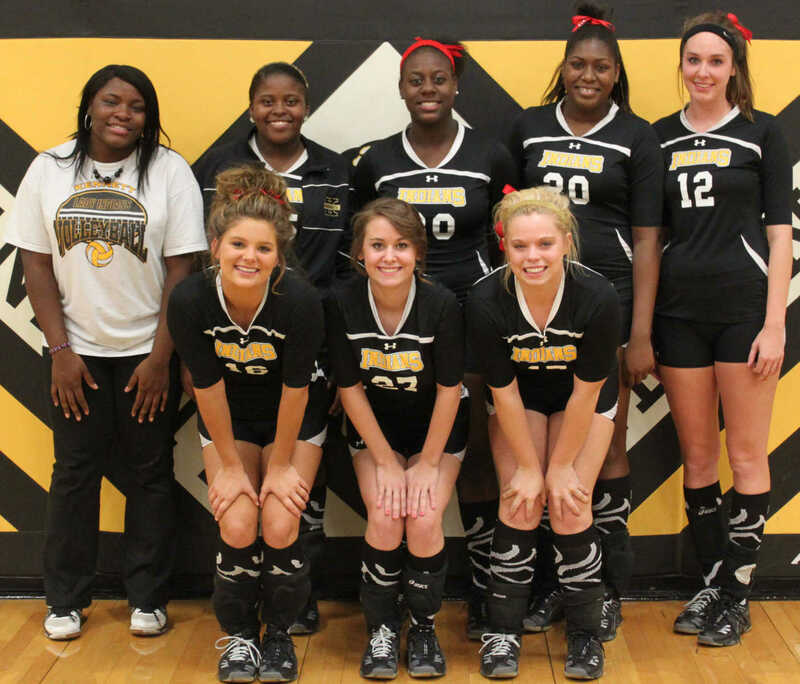 Kennett seniors pictured left to right (front row) Haley Henderson, Natalie Gross, and Jade Caldwell; (back row) Enna Thompson, Janeisha Gooden, Tiffany Washington, Audrey Wynne, Morgan Pickens. 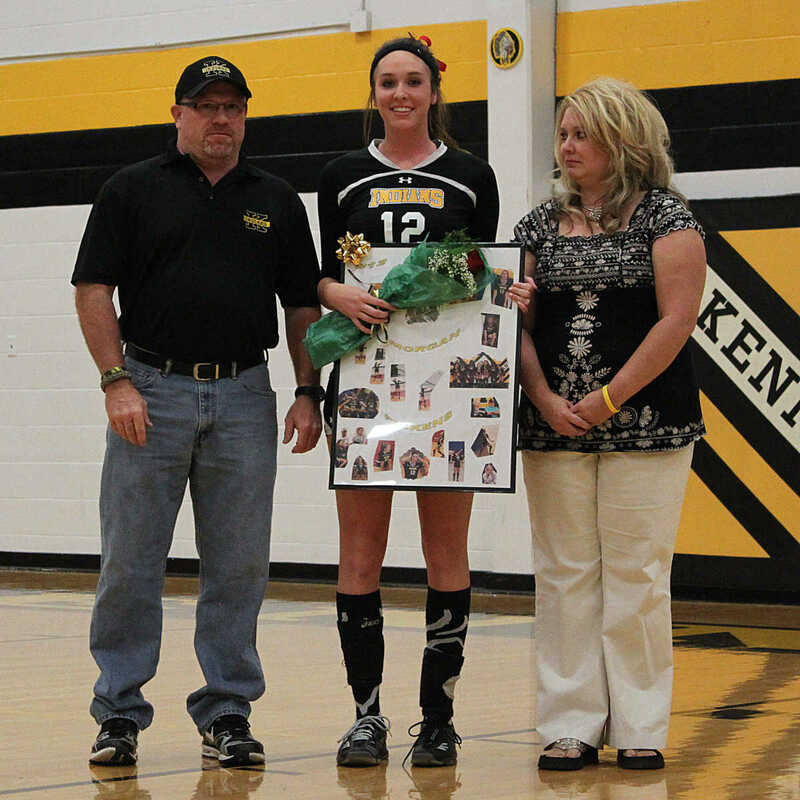 Kennett senior Natalie Gross (No. 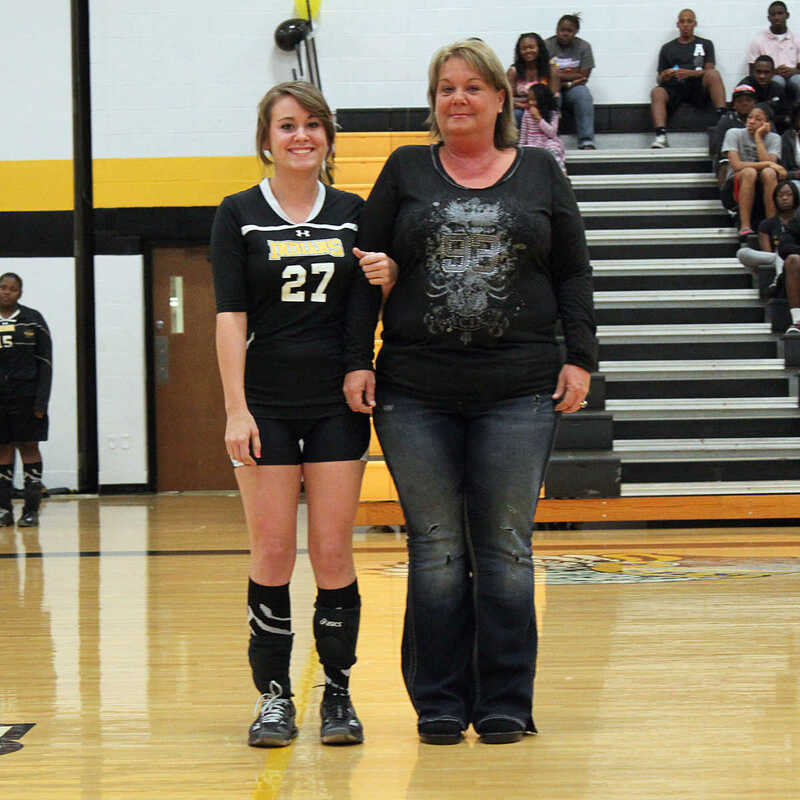 27) receives recognition before her final home volleyball game. 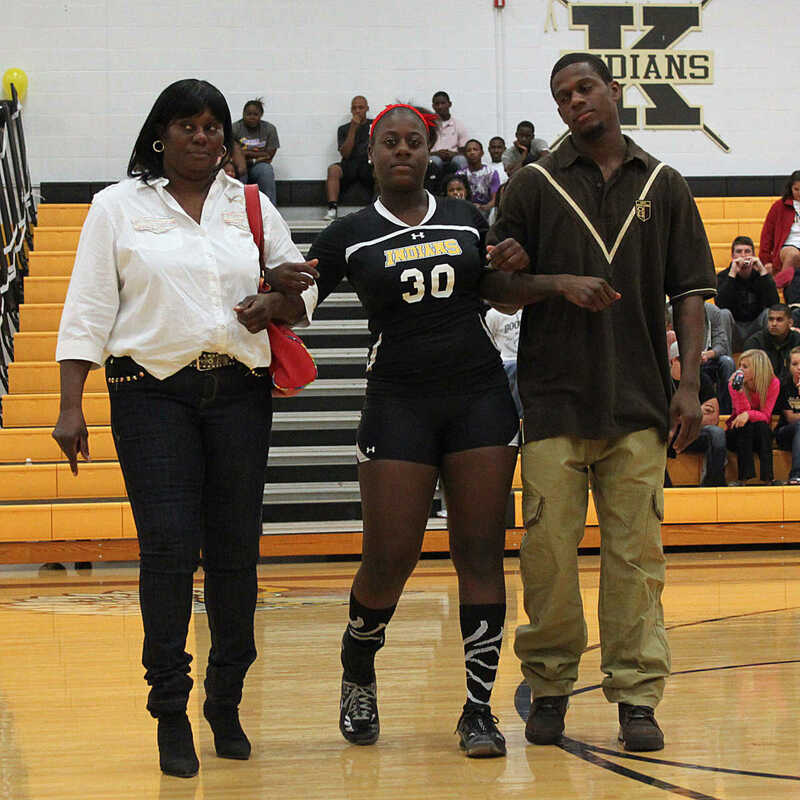 Kennett senior Tiffany Washington (No. 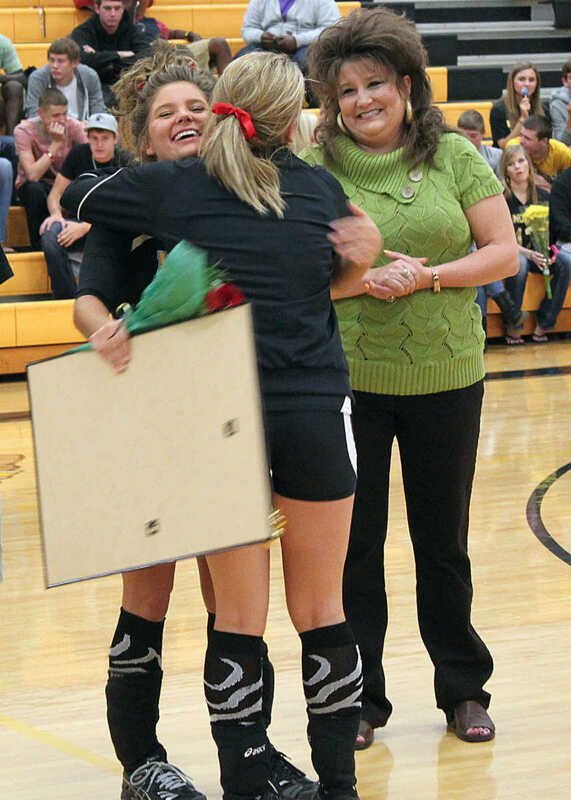 30) receives recognition before her final home volleyball game. 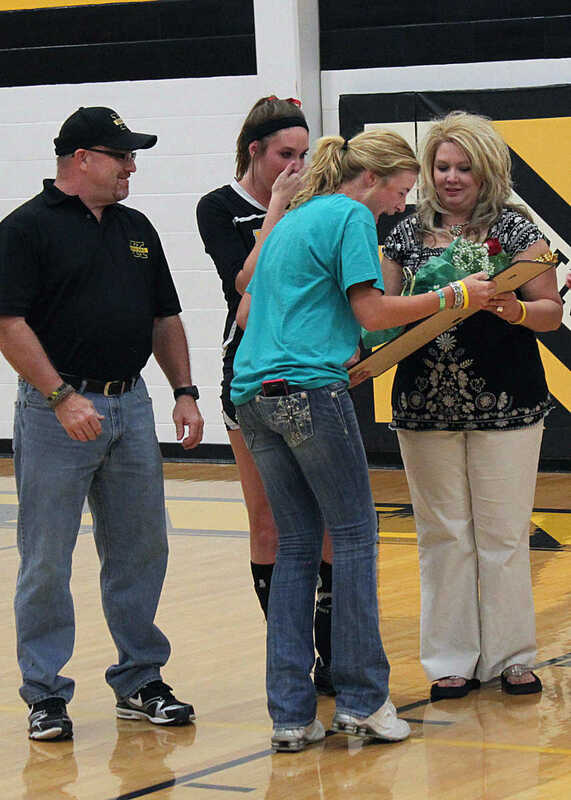 Kennett senior Haley Henderson (No. 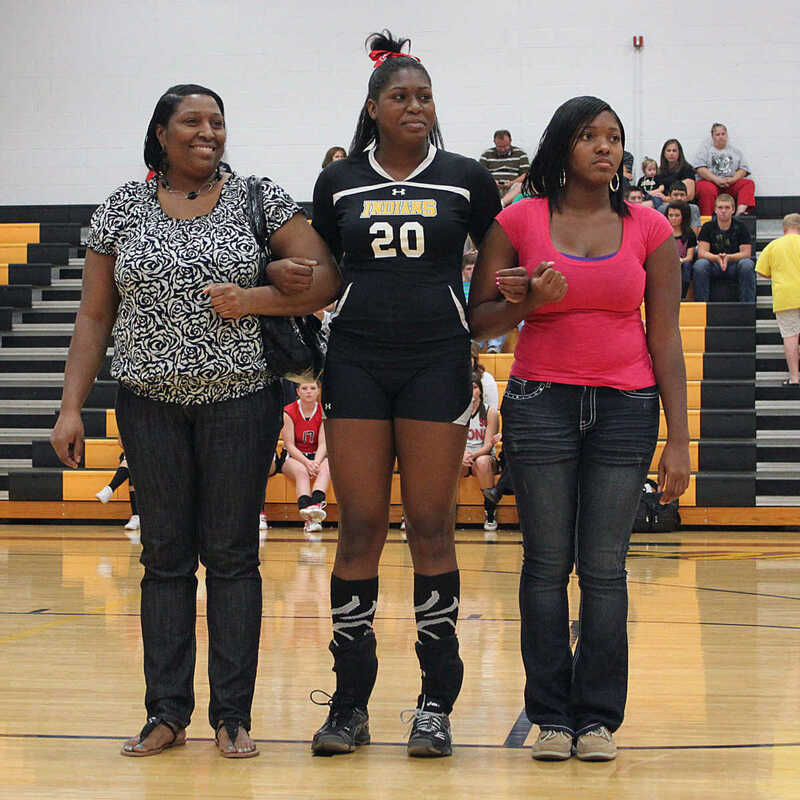 16) receives recognition before her final home volleyball game. 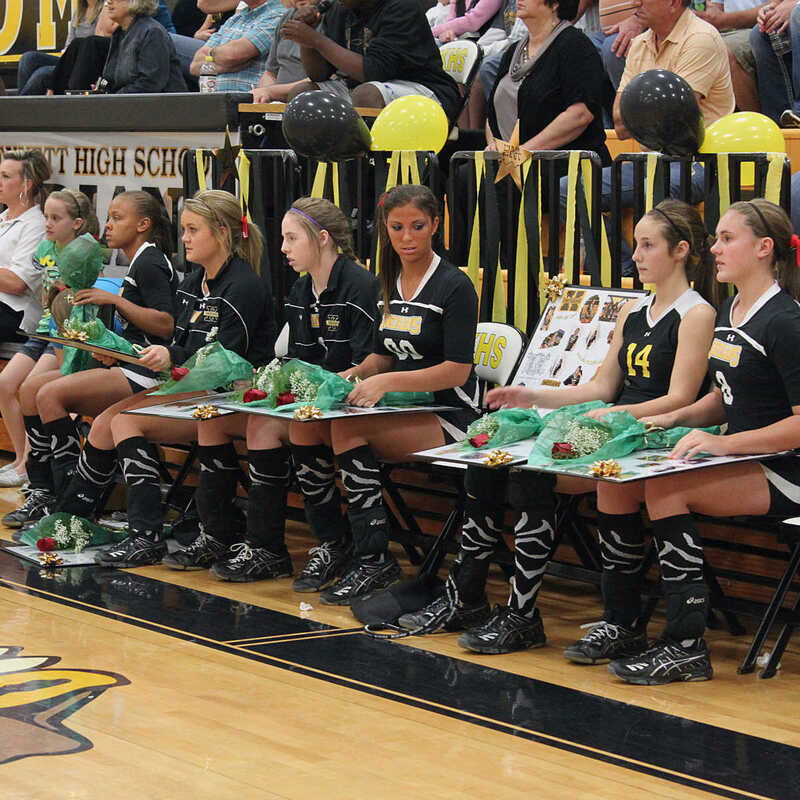 Kennett underclassmen prepare to present the Kennett senior volleyball players with their flowers. 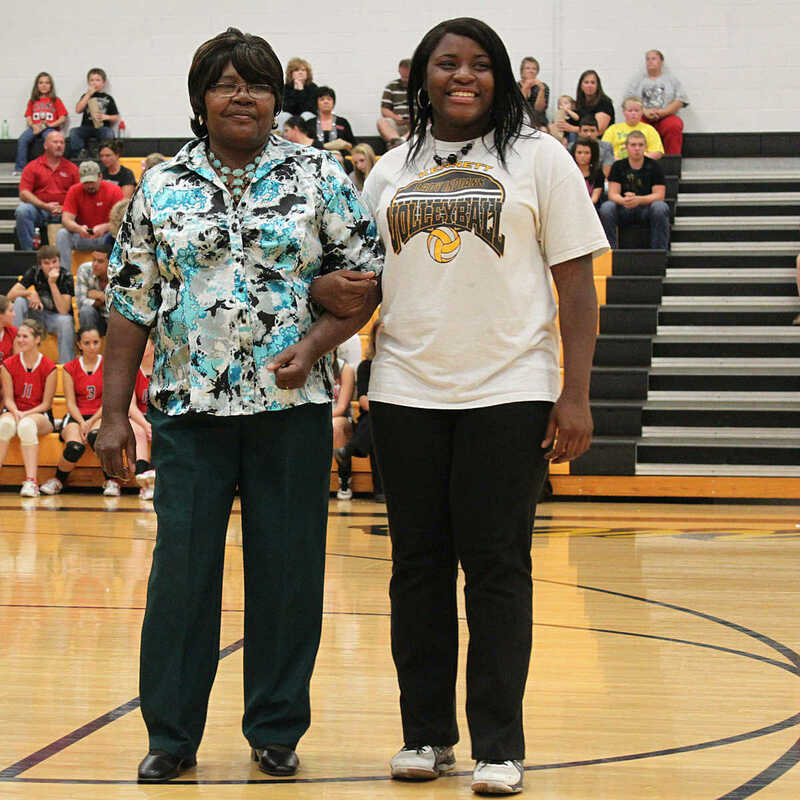 Kennett senior Jade Caldwell (No. 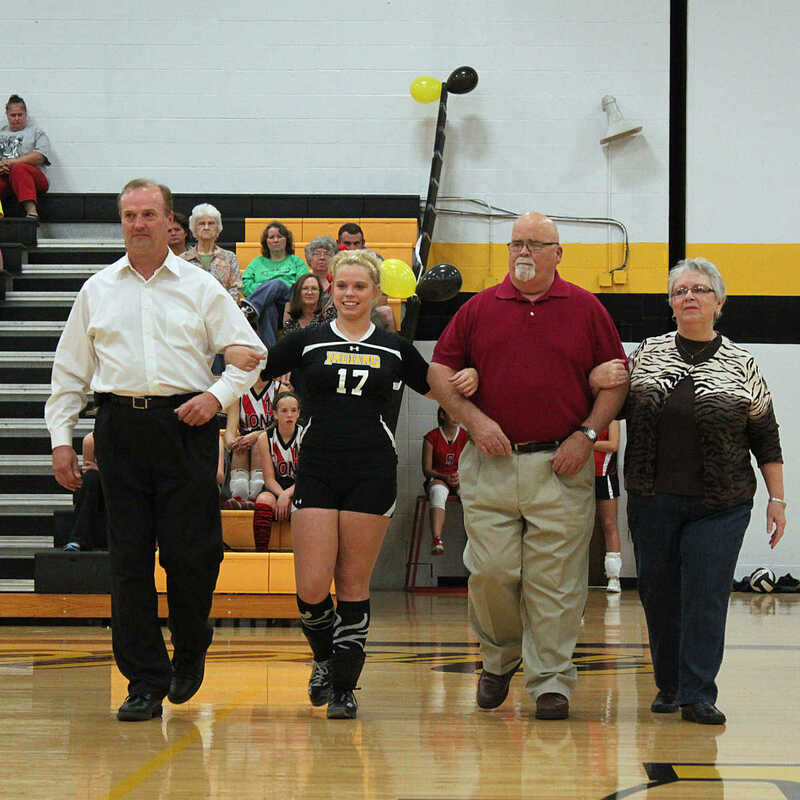 17) receives recognition before her final home volleyball game. Kennett senior Audrey Wynne (No. 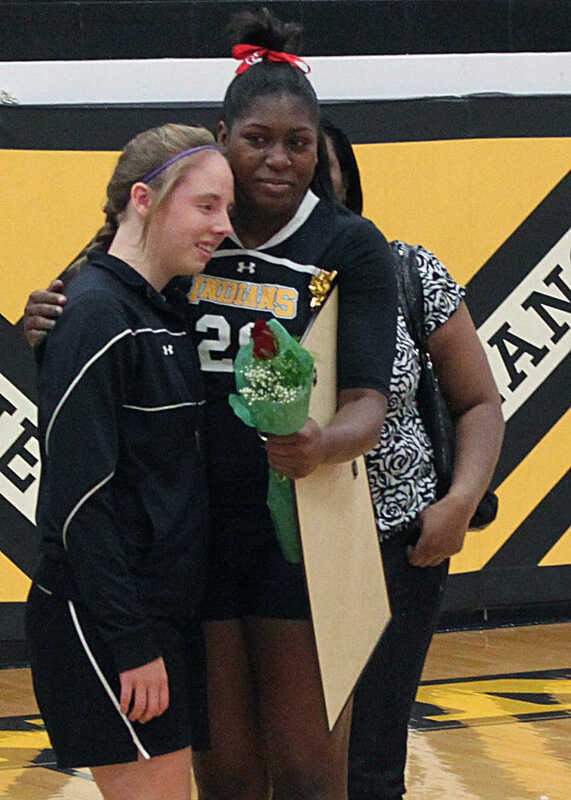 20) receives recognition before her final home volleyball game. 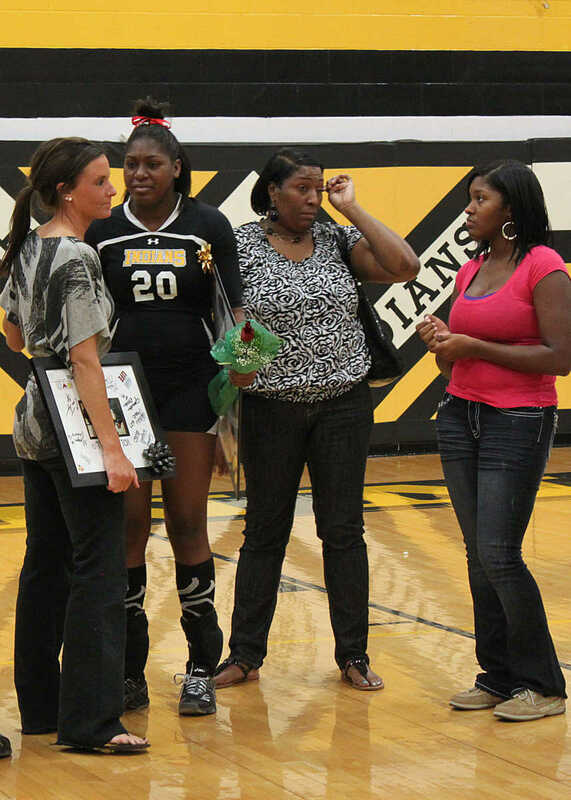 Kennett senior Enna Thompson (right) receives recognition before her final home volleyball game. 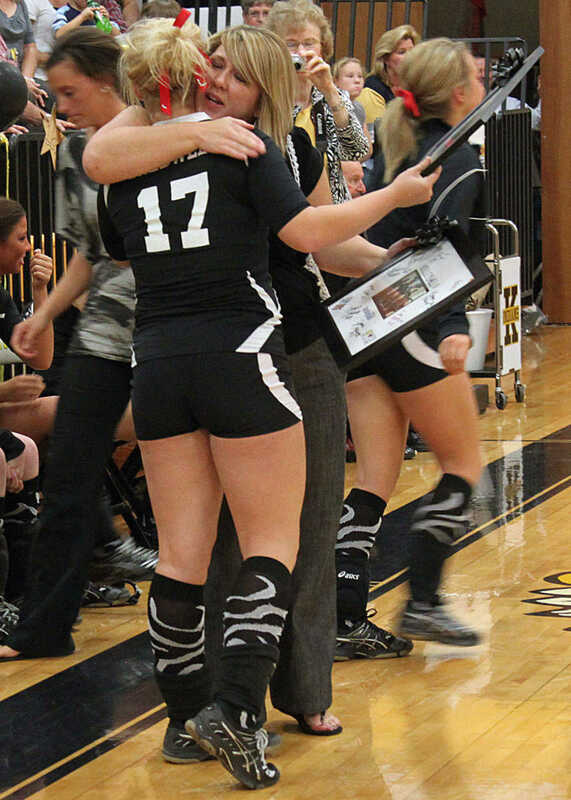 Kennett volleyball coach Kristy Johns is presented with a momento by senior setter Jade Caldwell. 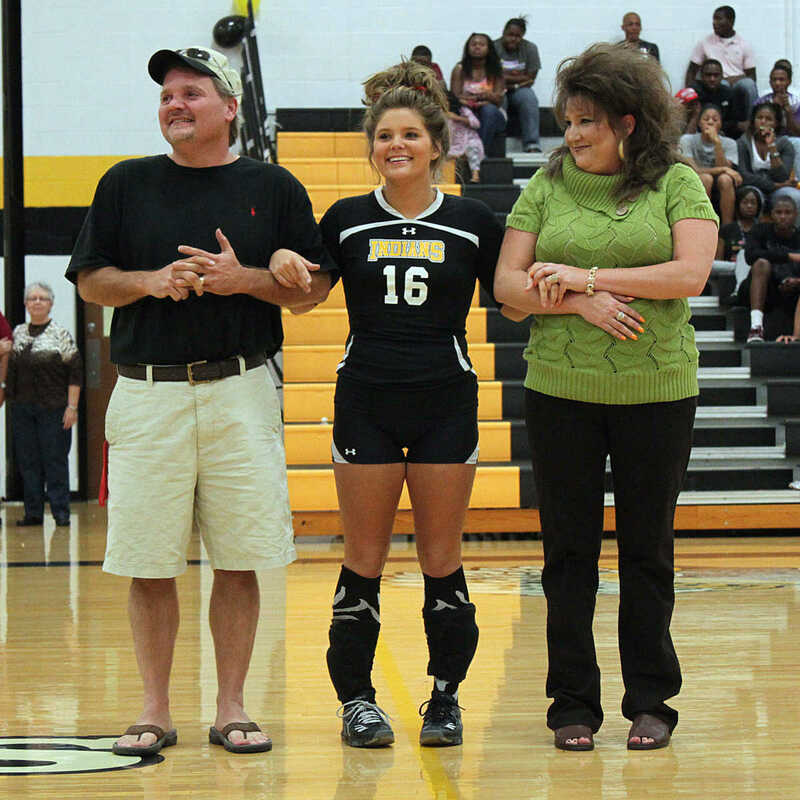 Kennett senior Morgan Pickens (No. 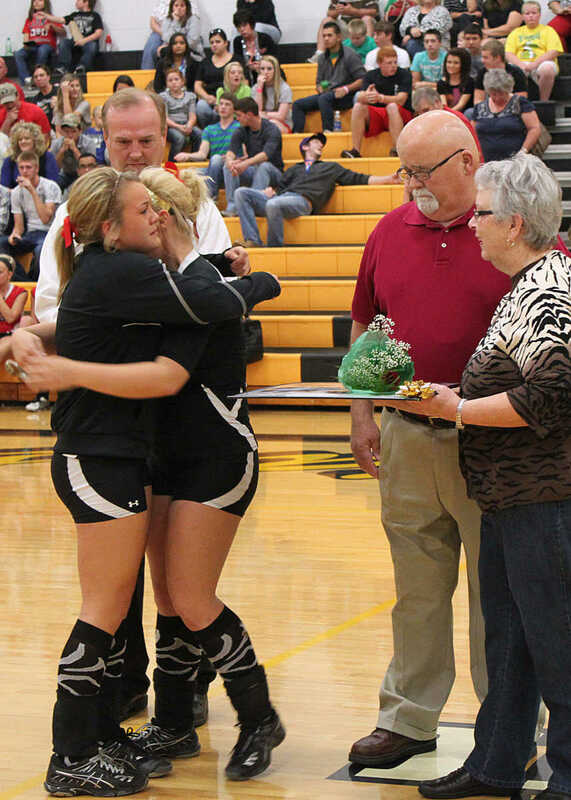 12) receives recognition before her final home volleyball game. 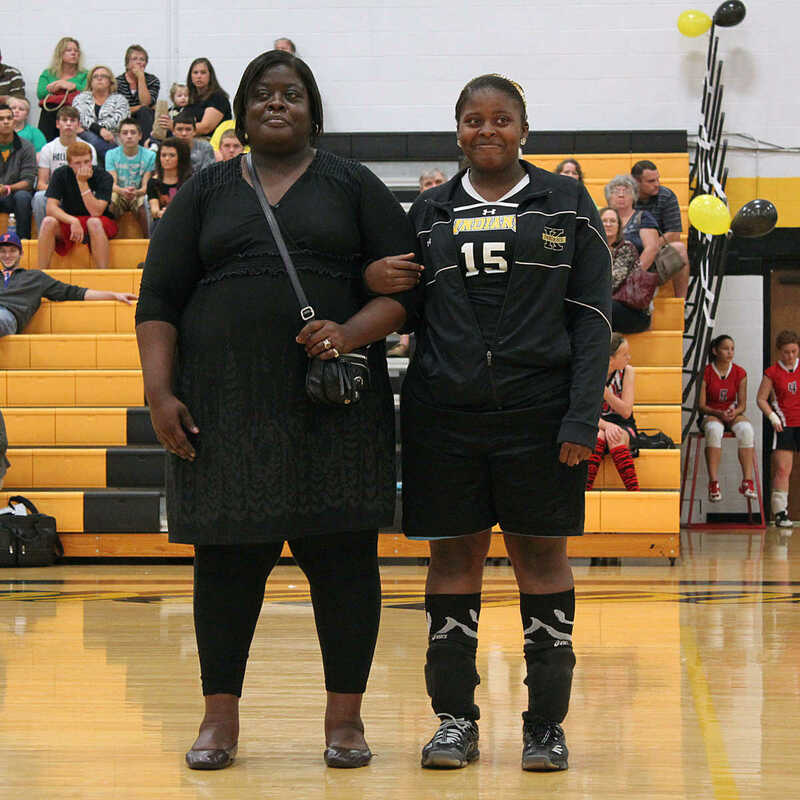 Kennett senior Janeisha Gooden (No. 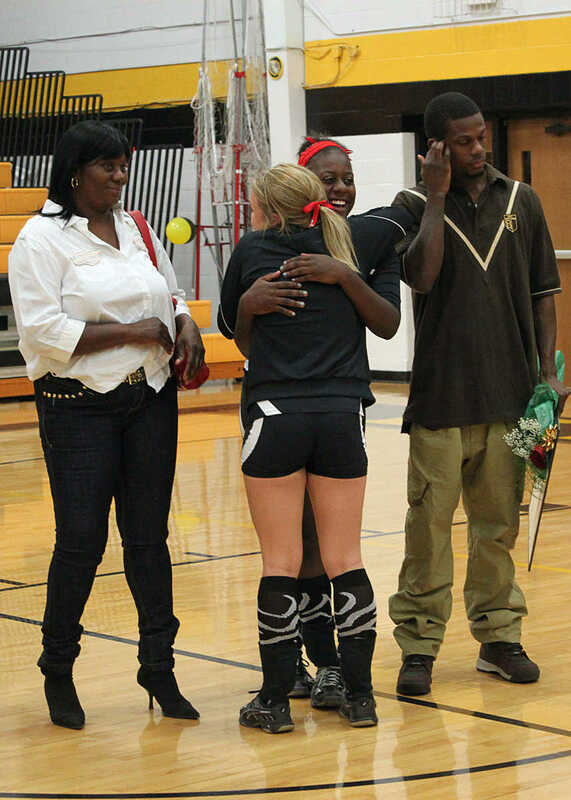 15) receives recognition before her final home volleyball game.